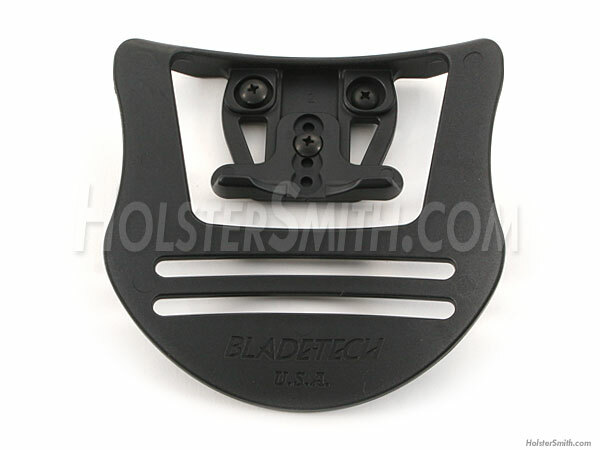 This Blade-Tech™ paddle mounting assembly is designed to offer one of the most comfortable sheath and holster attachments available. The holes allow for multiple adjustment angles. 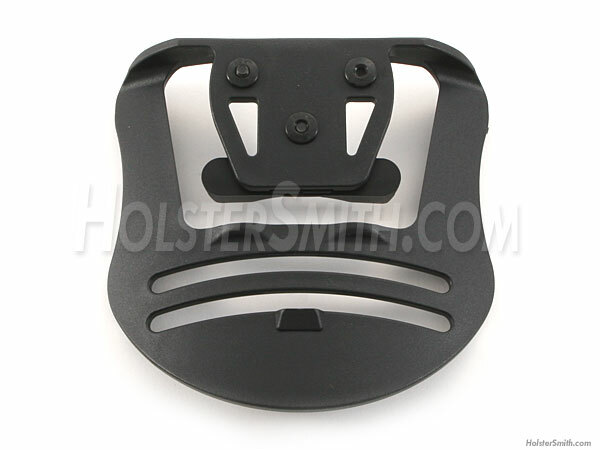 It has a lug feature that permits easy mounting and removal from pants and belts, but still adds security. The lug is adjustable for different belt widths. Dimensions - 5" x 5"